On February 13, 2008, Kevin Rudd, the prime minister of Australia, read his apology to the Federal Parliament for the acts of his forebears in enabling and implementing the policy that is best known as the "Stolen Generations." Although indigenous children were removed from their families from the earliest days of non-indigenous settlement in Australia, the term "Stolen Generations" primarily refers to the official and legally sanctioned Australian government policy between 1909 and 1969. This forced removal of indigenous children from their parents was not limited only to state bodies, as churches and welfare bodies all participated in this heinous policy. Rudd's apology was rightly seen as a significant breakthrough on the part of the Australian state in coming to terms with and accepting its responsibility for the brutal, if not genocidal, treatment of indigenous Australians since the colonization of the country. Surely, now the way has been paved to enable the indigenous population to share in the wealth of Australia. As Patrick Dodson, ex-Chairman of the Council for Aboriginal Reconciliation said, "After this moment Australia can be imagined as a different place. A place where aboriginal citizens no longer live in third-world conditions." However, while the apology was undeniably a step forward from the stonewalling and refusal on the part of the previous Howard administration to even countenance such an action, there are signs that further progress will still be a struggle. An example of the road that remains to be travelled can be seen in the peremptory rejection of the indigenous population's argument that the date for Australia National Day was a "festering sore," given its commemoration of the onset of European colonization of the continent and thus effectively exclusion of indigenous people. Arguably the most important issue for the indigenous population of Australia is the question of ownership of the lands they have occupied for over 60,000 years. In economic terms, ownership of their own land could potentially prove highly beneficial for indigenous people in tackling the problems of poverty that plague their communities. Compared to non-indigenous Australians, indigenous people live 20 to 21 years less, experience 3 to 5 times higher childhood mortality, are 12 times more at risk of infectious diseases and 2.5 times more likely to be unemployed. Land is also of crucial significance to the indigenous population in terms of their social and cultural identity, as it could provide indigenous people with the resources and space they need to foster and cultivate their culture and way of life. It is this profound bond with the land in which they live that has proved so difficult for non-indigenous Australians to understand, or, perhaps more accurately, a bond has been deliberately disregarded to ensure there were no moral barriers inhibiting the seizure and plundering of the territories of the continent's original inhabitants. In addition to the economic and political pressures pushing for expropriation of indigenous territories, the cultural and social differences in how land was viewed served only to create even greater division between the native inhabitants and the colonists. 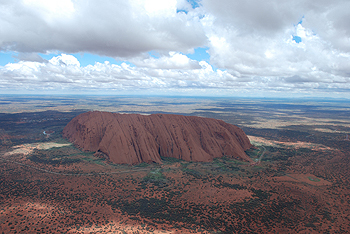 Whereas for indigenous Australians, the land served as the "source of social, spiritual and legal arrangements" founded on the attendant duties of "reciprocity and custodianship," the British-derived concept of the new arrivals was intrinsically bound up with the legal notion of private possession. Given the political dominance of non-indigenous people, their concept of land became law, creating a situation that continues to work greatly to the detriment of the indigenous inhabitants. Today, should indigenous peoples wish to advance their claims with respect to their ancestral lands, they are obliged to deal with an alien political, economic and legal system, part of a culture heir to the one that originally dispossessed them. Such a situation has an exhausting effect on indigenous leaders and communities as they are forced to engage in extensive efforts to furnish "proof of claim" to a highly exacting non-indigenous legal system, so their "traditional laws and customs and the rights arising under them" might be properly recognized. Non-indigenous political, economic and legal frameworks continue to have a debilitating impact upon the sovereignty of the indigenous population and their attempts to maintain their historical heritage and independent identities. In effect, the indigenous community is facing a double colonization and dispossession. Firstly, their lands were seized from them unjustly over a brutal period in their history. Now, in order to retrieve some of the lands they lost, they are obliged to return to the courts of the civilization that dispossessed them in the first place. This situation is further aggravated by an apparent unwillingness, even on the part of so-called sympathetic politicians and other members of non-indigenous Australian society, to understand and empathize with the needs of indigenous Australians. Although Kevin Rudd and the administration he represents might have apologized to the Stolen Generations in February 2008, the argument that the date for Australia National Day was a "festering sore" and served to exclude indigenous peoples was peremptorily dismissed. While there may indeed be other pressing issues confronting the Australian government and people, such as the current international economic crisis, the issue should be given serious consideration by all members of Australian society who are genuinely intent on ensuring a process of national reconciliation. Failure to do so could result in the "end of history" for one of the world's oldest living cultures.